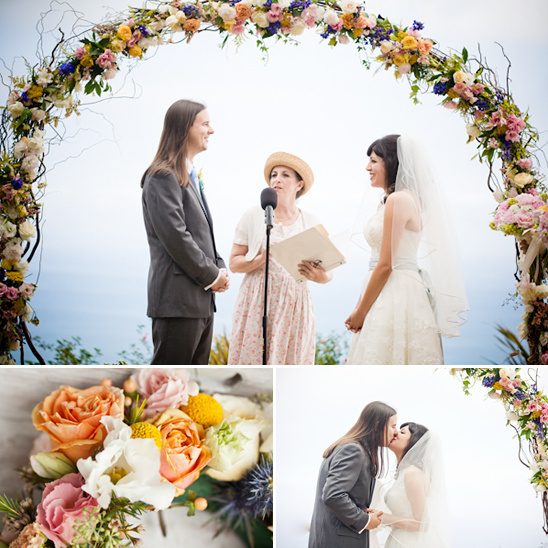 When it comes to completely sweet and whimsical weddings, Tasha and Mike's budget friendly Malibu wedding takes the cake. 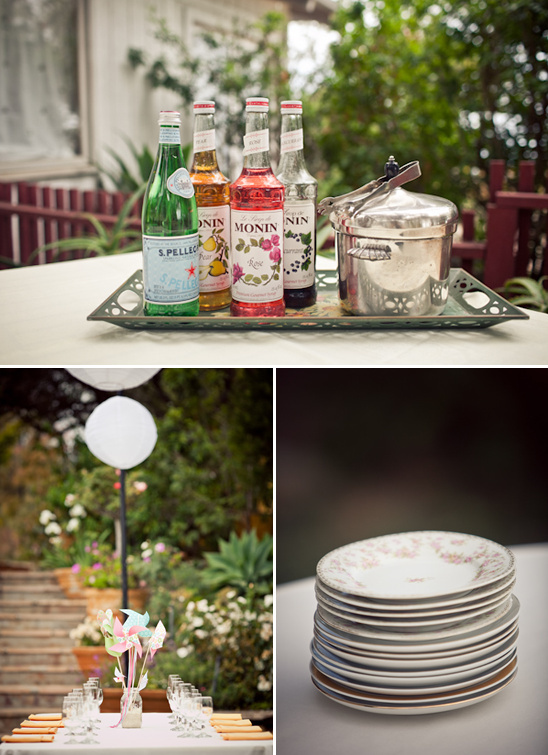 They had all the right ingredients for the perfect diy wedding. Loads of help, lots of creativity and the perfect location. 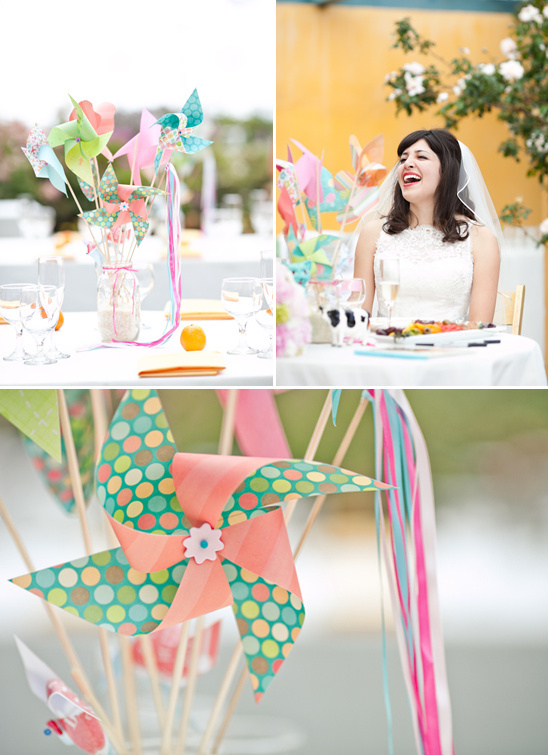 With only six months to plan and craft, they designed and created all the decorations and diy touches. 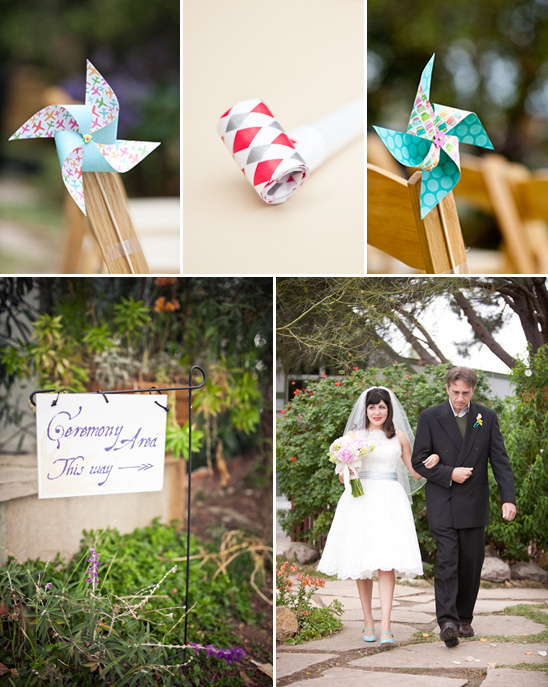 Yep ... every pinwheel you see was painstakingly crafted by hand. 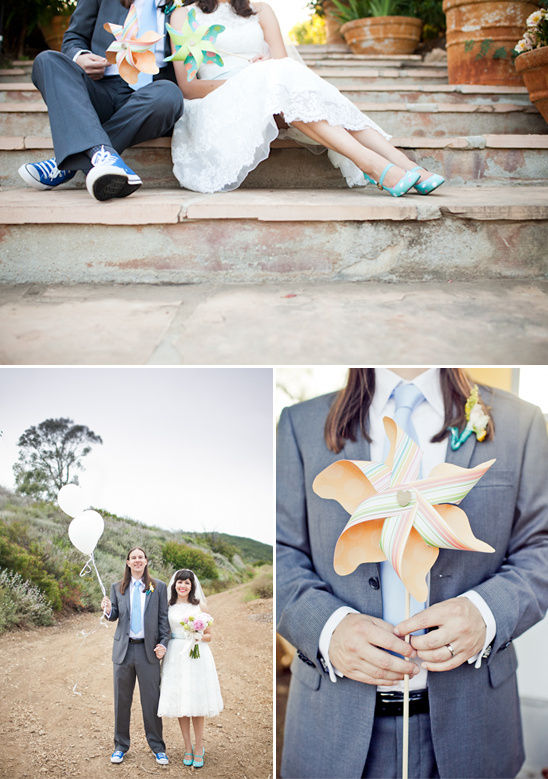 All beautifully photographed by Marianne + Joe of Marianne Wilson Photography. 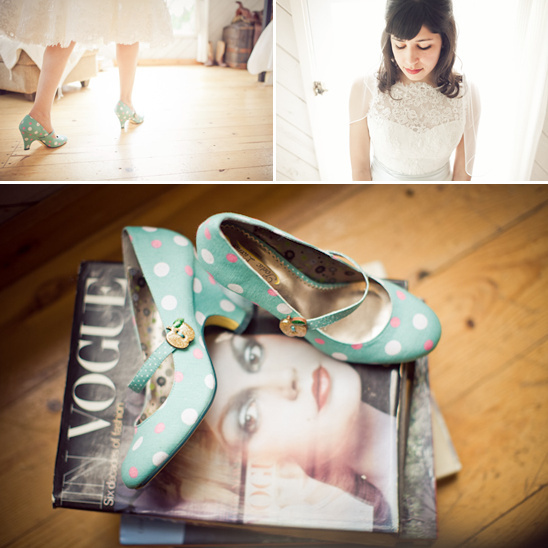 You can see more of this wedding i in the full gallery by clicking here. "Real isn't how you are made […] It's a thing that happens to you. When [someone] loves you for a long, long time, not just to play with, but REALLY loves you, then you become Real." The day after the wedding, still glowing with the outpouring of love from my husband, family and friends, I felt “realer” than I ever have. I only hope that your wedding will be as happy a day for you! 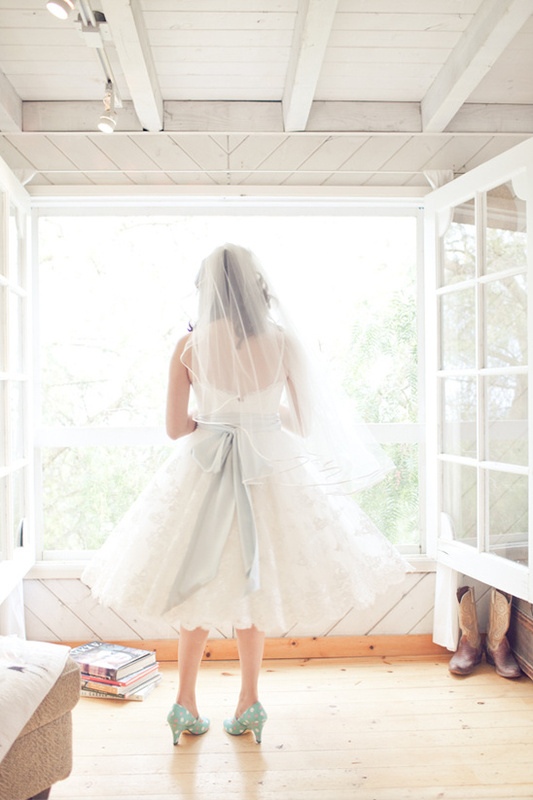 Getting married was alternately the most stressful and the happiest time of my life. I wanted to throw the biggest, most festive party I’ve ever thrown to celebrate the beginning of a new time of our lives. So of course, a ton of preparation had to be done… and we only had six months to do it! 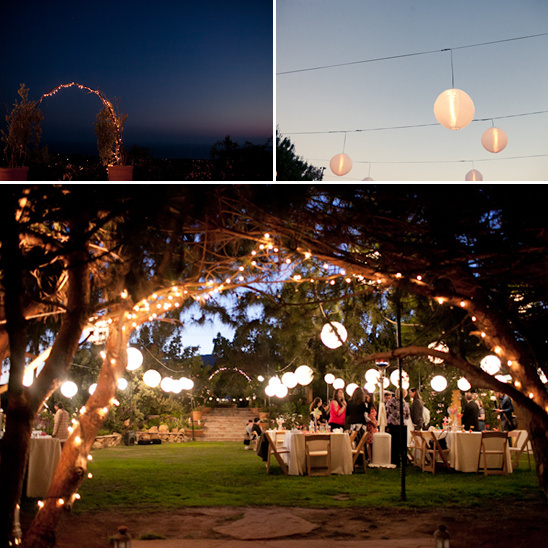 The whole experience of finding a venue and vendors within our budget was very stressful for the first month or two. Fortunately we met Jill and Sparky at Rancho de Cielo. Their combination of a wonderful location, small, intimate vibe, and a budget friendly package was exactly what we were looking for. 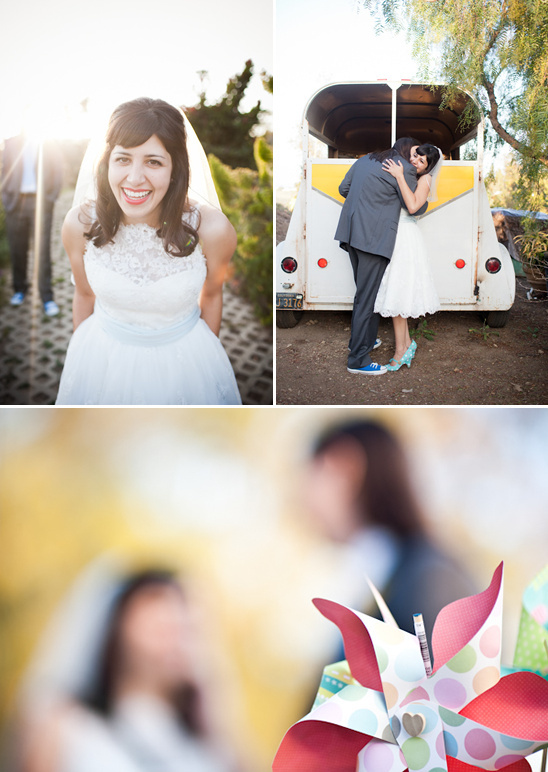 Then we found Marianne Wilson Photography , a fellow CalArts alum, for our photography. My husband was a little concerned about the cost at first but after seeing her photos, he agreed that a good photographer is priceless. The folks at Rancho de Cielo and Marianne with her team all helped tremendously to make the pieces fall into place. The only thing we had to worry about was the decorations. I always knew I wanted to be a DIY bride. 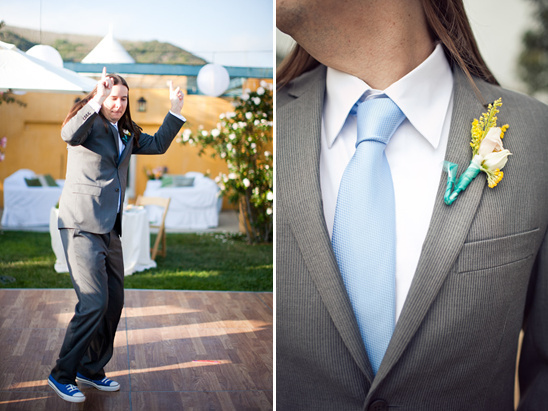 Making my wedding personal was important for me- I wanted every touch to be a symbol of love for my new husband. The best tip I can give is to have a good team on your side, and to NEVER be afraid to ask for help. Personally, I could not have done any of it without my sister, Melissa. She planned everything down to the last detail- desserts, favors, centerpieces… Any idea I came up with, no matter how crazy, she was right there trying to figure out how to make it work, and as a new mother, no less! 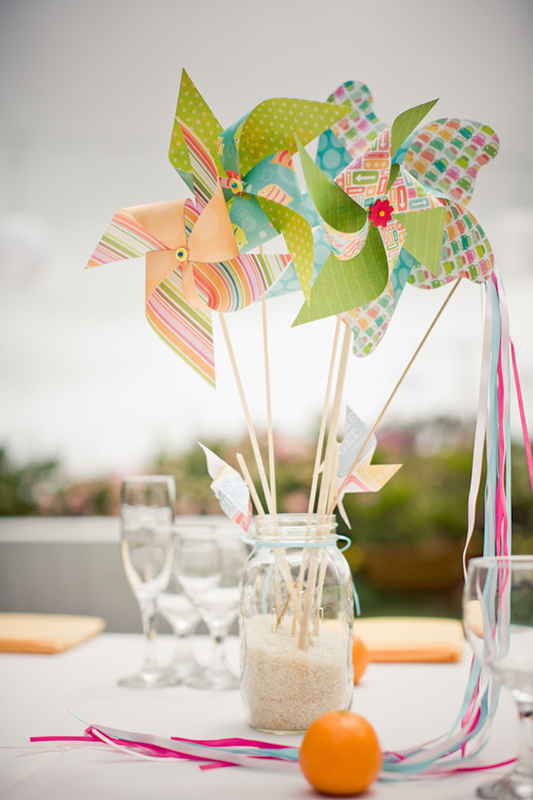 I’ll always remember, and be eternally grateful for, the time she made for me; she and I painstakingly crafted pinwheels, favors and bunting in all the colors I wanted for my wedding. 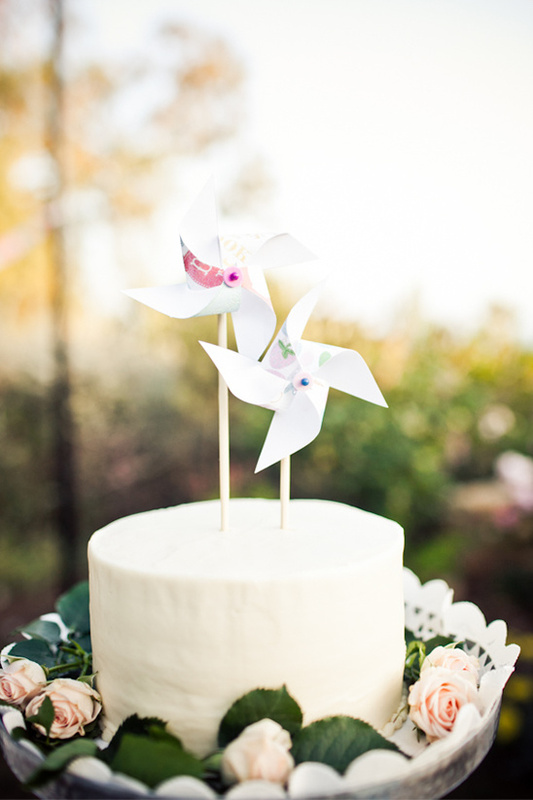 Everyone in the wedding loved the DIY touches, and took pinwheels and desserts home with them, which was a huge source of pride for my sister and I. On the day of the wedding we went to the venue with a carload of decorations and arrived with about an hour to put them all up. It was a little stressful, because people showed up early as we were decorating! But my awesome sister, cousins and friends jumped in and got the tables set and the decorations arranged with a few minutes to spare. The amazing dessert table was a complete surprise- again, all my sister’s doing. In a matter of a few days, she whipped up the most decadent treats- cake pops, raspberry tartlets, sugar cookies and more. The evening was capped off with Jill’s delicious food, drinks supplied by the best man, and of course, dancing ‘til dark. Everything came together perfectly, even though some moments were stressful- just as I’m sure every wedding comes together, despite the difficulties. Mainly the thing to remember is that your wedding should be a day to celebrate the loves in you life- your new husband, your friends and family, and for me, my lifelong friendship with my sister. I’m so incredibly lucky to have her in my life- I literally don’t know what I would have done without her!